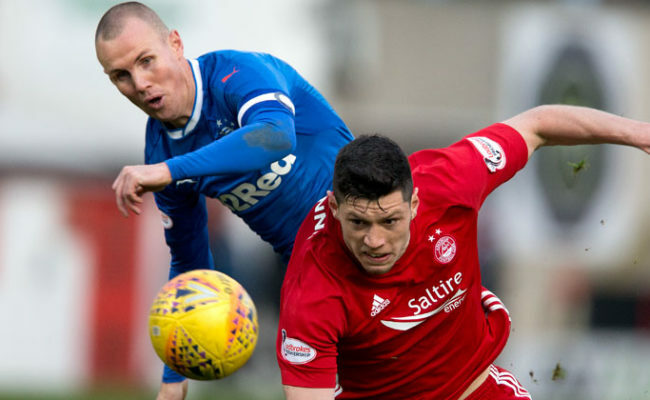 A SIMPLY wonderful performance from 10-man Rangers saw the Light Blues defeat Aberdeen and leapfrog them into second place in the Scottish Premiership table this afternoon. 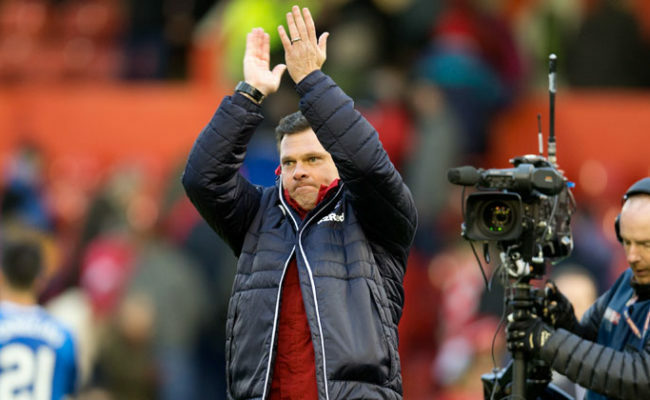 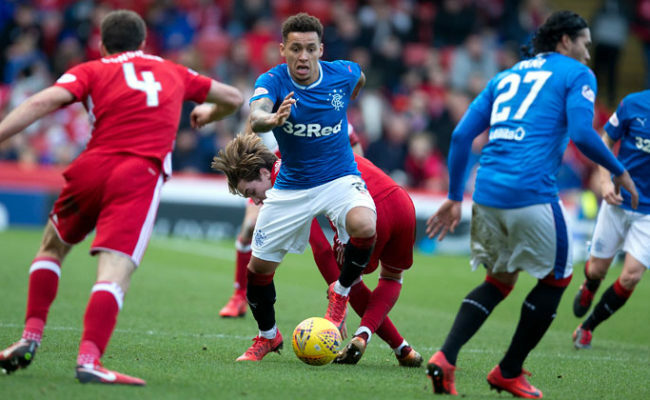 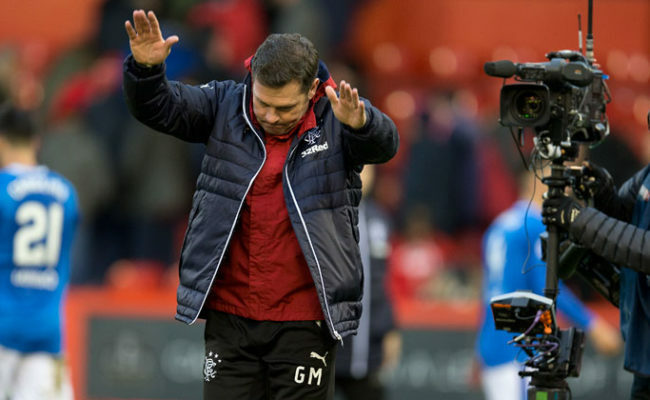 Dogged, determined and possessing quality when it mattered, goals from Danny Wilson and Josh Windass sealed a memorable win in the Granite City, despite Ryan Jack’s red card and a Frank Ross free-kick consolation. 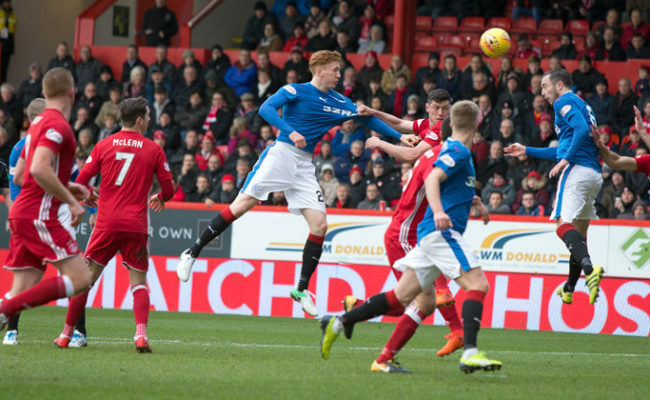 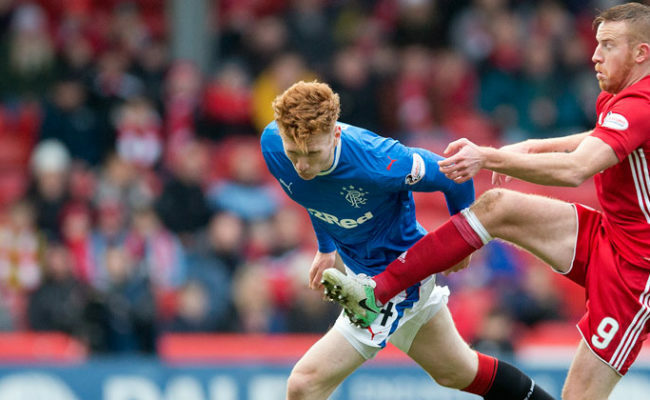 It was a lively start in the Granite City, with Gers seizing the early initiative in the match. 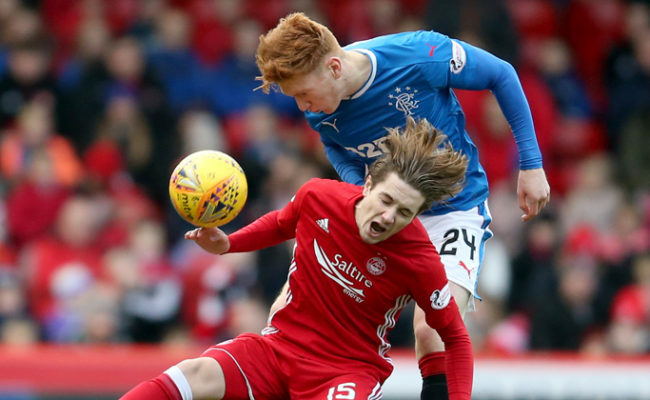 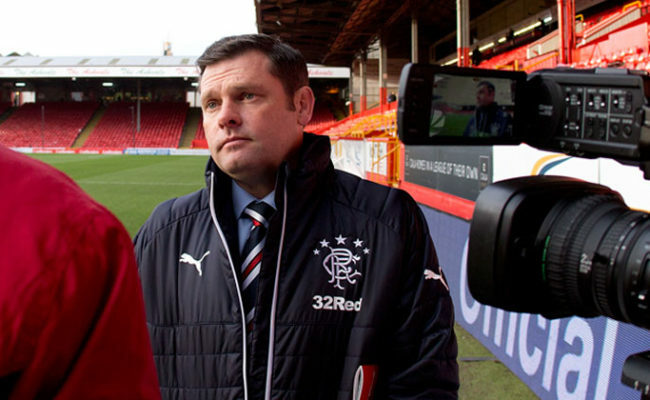 Josh Windass forced Anthony O’Connor into the cheap concession of a corner inside the first minute, with the Englishman’s subsequent ball in finding Kenny Miller at the front post.